The process of uninstalling office 2013 preview is quite different from the previous Microsoft Office suites. This tutorial will teach you the simple steps for how to uninstall office 2013 preview. Open your preferred internet browser and login to your Microsoft account by visiting the URL http://www.office.com/myaccount. Login with the same account which you have used during the installation of Office 2013 Preview. On your dashboard, find the blue link “Deactivate” and click on it. 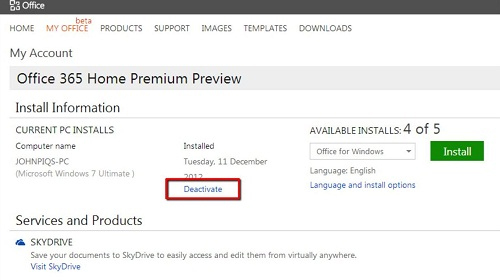 A window will appear, click “OK” and the office 2013 preview will have been deactivated. Click on the “Start” menu then click “Control Panel”. 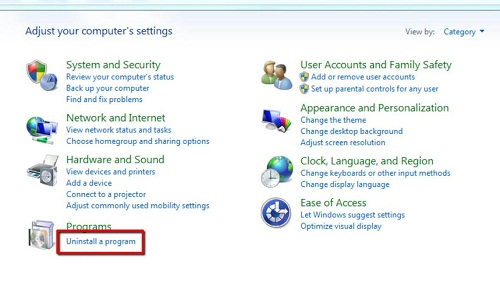 A window will open, under the “Programs” heading click “Uninstall a program”. This will load a list of programs installed on your PC, wait for few seconds to completely load all the programs. In the list of installed programs, find “Microsoft Office 365 Home Premium Preview” then right click on it. A small drop down list will appear, click “Uninstall”. 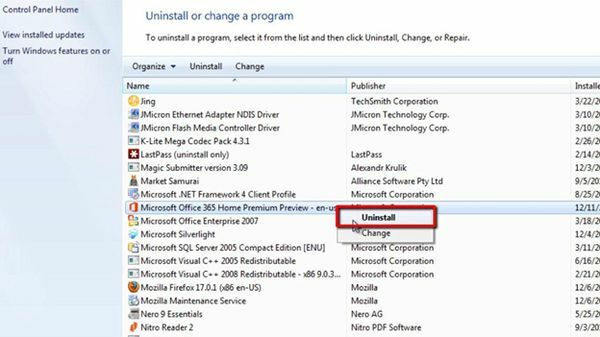 A new window will open confirming that you really want to uninstall the program, click “Uninstall”. 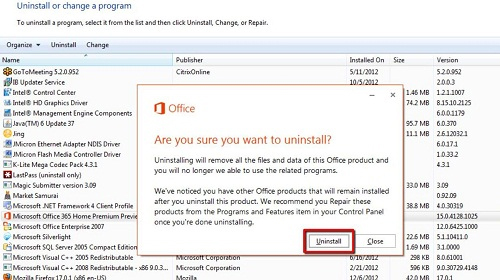 Once your computer has finished uninstalling Office 2013, a new window will appear that reads “Done Uninstalling”. These are the simple steps to follow when learning how to uninstall office 2013 preview.